When President Donald J. Trump was elected, one of his first decisions was to fulfill an early campaign promise: he abandoned the Trans-Pacific Partnership agreement that the Obama Administration negotiated. The reason for withdrawing was simple: it disproportionately would have harmed American middle-class workers and their already-ailing communities. Yet the decision to remove the United States from the TPP agreement came at a cost. It created some damaging downstream effects for America’s foreign policy. One positive aspect of the TPP was that it empowered Asian states to stand against China’s growing threat in the region. Since the termination of the agreement, the Asian democracies have tried to go forward without the United States without success. Despite its necessary decision to end American involvement in the TPP, the Trump Administration has also correctly acknowledged that Asia is the most important region of the world. Moreover, the Trump Administration believes that Asia cannot be left to the machinations of authoritarian China. 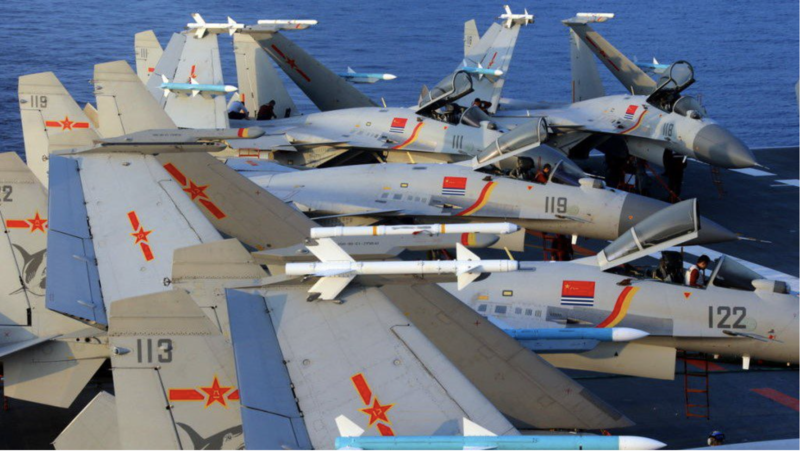 Japan, Australia, and Vietnam have all become concerned about Chinese military activities in the region over the last decade. More importantly, India—the world’s largest democracy, and the seventh-largesteconomy (an economy, moreover, that is set to grow even larger over the next decade)—is equally, if not more, threatened by the Chinese juggernaut. Since the start of this year, the Trump Administration has sought to revitalize the Quadrilateral Security Dialog (or simply the “Quad Alliance”), a loose coalition from 2007 consisting of the United States, Japan, Australia, and India. The Quad Alliance, which is currently informal and relatively powerless, should be formalized by the Trump Administration and given greater power. It should be the basis for a new trading and defensive military bloc aimed at tethering together the region’s most powerful economies into a competitive counterweight to China. But the Quad Alliance is not without its problems. Like it or not, Trump’s trade war with China has turned off potential allies in the Asia-Pacific. Most of the Quad Alliance members have all become fabulously wealthy from the “free trade” policies that President Trump opposes. The leaders of these states are therefore skeptical of Trump. This has translated into their unwillingness to further enmesh their countries in the budding Quad Alliance. Don’t let that fool you, though. As time progresses, Japan and India will be unable to ignore China’s true threat. In the last decade alone, China’s extreme behavior in the South and East China Seas (with their unlawful island-building program) have already exhibited to the region the danger that a China—drunk on wealth and nationalism—poses. In 2017, India and China fought a series of pitched battles in their long-standing feud over water rights (which China controls at present) for the Tibetan Plateau. The stronger and wealthier China becomes, the less inhibited Beijing will be in checking its revanchist impulses. For its part, Australia has taken a schizophrenic approach to the issue of China’s rise. Australia has allowedfor the United States to base some Marines in Darwin. It has also expanded its participation in joint-naval exercises with the United States. Australia also attempted to participate in major naval exercises with the Indian Navy recently (which New Delhi, in an attempt to appeal to Beijing, rejected). However, like Japan and India, Australia has become more committed to its free trade policy with China, thereby negating the potential potency of the proposed Quad Alliance network. The Quad Alliance is not dead yet, however. All that is needed is a more visible sign of American engagement with the Asia-Pacific (beyond mere rhetoric) generally, and specifically, American commitment to the other Quad members. What’s needed, then, is Trump’s decisive leadership. A new trade deal and deeper military ties are required to sweeten the deal. Beginning with Japan, a country with the most antipathy toward China, the Trump Administration must negotiate the creation of a new fair trade deal that would leave open the possibility of Australia and India joining. From there, the United States should court other Asian countries, like Vietnam and South Korea, into becoming observing members of the Quad Alliance. Rather than advocating for an expansive trade deal that effectively weakens the United States at the expense of the other members, the Trump Administration would have to employ its thus far effective negotiation style to goad its potential Asian allies into fully committing to the Quad Alliance, and making it a mainstay of the region. Also, a joint military command would have to be created to better coordinate members’ defensive efforts. China, the world’s second-largest economy, will not be contained by each country in the region acting alone. It will require concerted effort and dedication. The Quad Alliance is the only way to compete with China. Be sure to check out American Greatness for more cutting-edge material!